a muslim homeschool: Phonics reader for Muslim children! I've been wanting to make some non-fiction reading books for the children for a long time. My 6 year old is still developing her early reading skills, and so to give her an alternative to the typical phonics story books, I've quickly put together this Islamic reader as a little experiment! If successful I'd like to make more inshaAllah! The long vowel sounds used are all coloured red to help recognition and develop reading confidence! Please do have a look and let me know what you think bi'ithnillah, your feedback and comments would be hugely appreciated! Masya Allah. 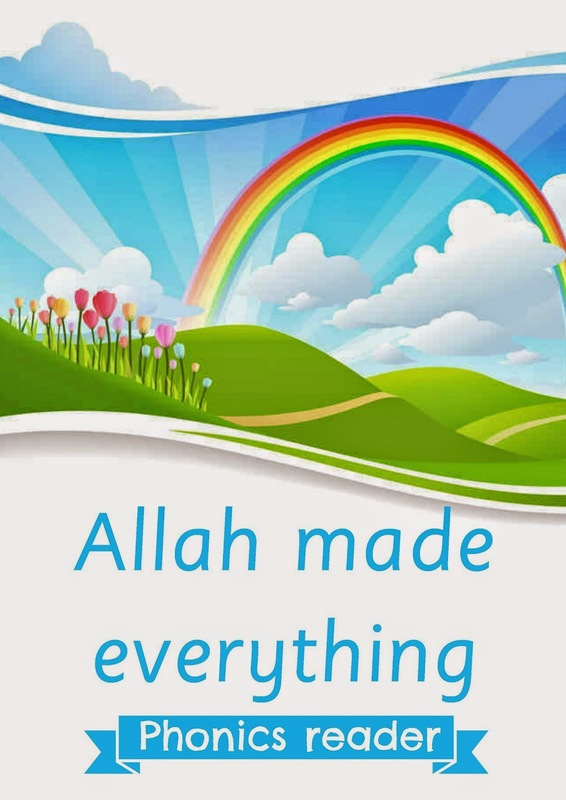 Jazakallahu khaira for the great idea and lovely book! Wa'iyyaki. 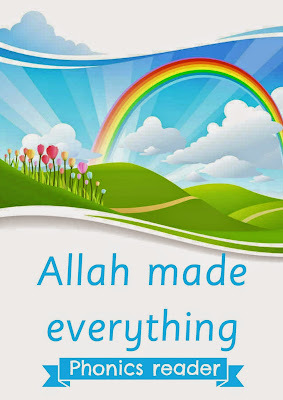 Alhamdulillah all good is from Allah! MashAllah. ....great work..keep it up...we really need such things for our kids . Really appreciate this little story book! Jazakillahi khair..
Great work! Do you have other version of phonics reading? Seriously, excellent. I don't know why such readers are not readily available for purchase. It combines learning a necessary skill, with learning about deen. Two in one! JazakAllahu khayran Umm Hamid that's an idea I will certainly keep inshaAllah! I am looking at producing more children's readers so I will definitely consider your suggestion in the design bi'ithnillah. Alhm.im feeling very happy to see ur website.i was looking something like that.u can also invite young writer to write their own phonics book then that will be published and will b writing competition also.home school kids will be busy with such activity.